A Republican lawyer who has gained notoriety for leading marriage equality lawsuits is lending his name to another LGBT cause: the Employment Non-Discrimination Act. 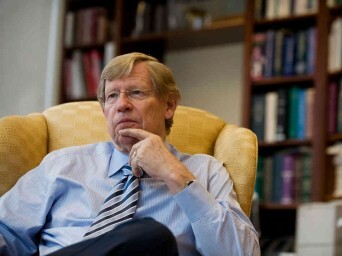 Ted Olson, who argued against California’s Proposition 8 before the U.S. Supreme Court and just this week joined another lawsuit seeking marriage equality in Virginia, announced he backs ENDA during a conference call with reporters on Monday about his new lawsuit with the American Foundation for Equal Rights. Olson endorses ENDA on the day that the Americans for Workplace Opportunity, a campaign seeking to pass the legislation, made public new polling from Republican pollster Target Point Consulting. Among the findings: 68 percent of voters, including 56 percent of Republicans, support a federal law barring LGBT workplace discrimination. Posted October 1st, 2013 & filed under Politics.